Please use the "Search" feature to find your preferred class. If you have any trouble, please contact us at 403-580-2204 and we would be happy to assist you. Once this registration form is submitted, you will have reserved your space in your selected class(es). In order to complete registration and secure your space, a registration fee of $30.00/student or $50.00/family as well as costume rental must be paid. Costume rental fees are $35.00/Pre Dance Class, $50.00/Mini/Petite/Junior/Teen Class, and $60.00/Company Class. Once payment is completed, these fees are non-refundable. Payments will be processed through our program within 5 business days of your registration. -All tuition fees will be processed on the 1st of each month. -All registration fees, tuition, and costume rental payments are non-transferable and non-refundable. -Tuition payments are NOT accepted in-person on a month-to-month basis. A $30.00 fee will be charged for all NSF/Declined Credit Card payments. Participation in class will be suspended for payments more than 1 month in arrears. Participation in recital and year end activities will be suspended for payments in arrears as of June 1st. All students require costumes for classes that have a performance component. All students pay a non-refundable costume rental fee with initial registration. All costumes remain the property of LimeLitez Studios Ltd.
Parent's Responsibility to be Aware of Dates and Events: It is the responsibility of the parent or adult student to be aware of all studio activities, such as parent viewing days, recitals, extra classes, and dates the studio is open or closed. The studio will post all such notices on the studio bulletin board as well as sending notices via email. It is the parent's responsibility to regularly check the bulletin board and/or with the office to ensure they are informed. It is the responsibility of the parents or adult students to inform the studio of any address , telephone number, and email changes. Extreme Weather or Unexpected Interruption of Classes: If the studio must cancel classes due to extreme weather or events beyond our control, such as power outages, any missed lessons that fall below the guaranteed yearly minimum will be added on to the end of the teaching year. No refunds for lessons missed due to these reasons will be given. Substitutions: The studio reserves the right to provide a substitute teacher if the regularly scheduled teacher is ill or otherwise unable to teach classes. If a teacher is ill and the studio cannot arrange a substitute any missed classes that fall below the guaranteed yearly minimum will be made up. Dance Dress Code: Required dancewear and dance shoes must be worn to all classes. Failure to wear required dancewear to class could result in students being asked to sit out the class. Repeated failure to wear required dancewear could result in termination of lessons. For safety reasons dancers are not permitted to wear jewelry. For all ballet classes hair is required to be pulled back into a proper ballet bun. For all other classes, hair is required to be slicked into a ballet bun, or high pony tail. Bangs and fly-aways must be gelled and smoothed off of the face for all classes. Attendance, Lateness, and Missed Lessons: The studio reserves the right to have students who come late to class sit out of the class. Repeated lateness may result in termination of lessons. A minimum attendance level will be required. If a student misses more than 4 classes without written notice, the studio reserves the right to terminate lessons. Students missing more than 4 classes after January may not be allowed to participate in the year-end dance recital, festivals, or competitions. Absolutely no make-up lessons will be given for missed lessons unless absence is due to serious illness and 24 hour notice has been given to the studio office .No refunds are given for missed lessons. Class Viewing: Parents are asked to remain in the waiting area while their child is in class. Students will leave the waiting area with the instructor and go into the classroom without mom or dad, and will be accompanied back to the waiting room after class. Parents are invited to view their children's lessons during our scheduled "Parent Peek Weeks". As the legal parent or guardian, I release and hold harmless LimeLitez Dance Academy, its owners and operators from any and all liability, claims, demands, and causes of action whatsoever, arising out of or related to any loss, damage, or injury, including death, that may be sustained by the participant and/or the undersigned, while in or upon the premises or any premises under the control and supervision of LimeLitez Dance Academy, its owners and operators or in route to or from any of said premises. Waiver: This agreement affects your legal rights. Read it carefully! d.	to be liable for and to hold harmless and indemnify LimeLitez Studios Ltd from all actions, proceedings, claims, damages, costs demands, including court costs on a solicitor and own client basis, and liabilities of whatsoever nature or kind arising out of or in any way connected with your participation in fitness activities. Please consult your physician prior to starting an exercise or fitness program, and prior to using this Facility. There is a two-month minimum for all lessons. One month notice from the first of the month is required to discontinue any classes. Withdrawal must occur within the first 7 days of the month. Withdrawal must be done in person and will not be accepted over the phone. Withdrawal must be done at the studio office and not with the teacher. No withdrawals will be accepted after April 1. 2. Complete and sign a withdrawal form provided by the studio office. All automatic bank debiting or credit card charges will stop after the one-month notice period (September - March). 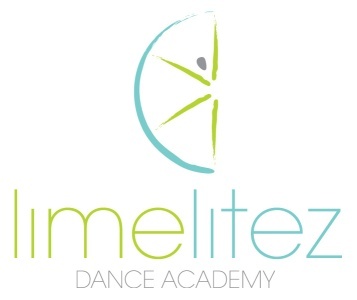 LimeLitez Studios Ltd. Reserves the right to terminate lessons to any student without notice. In such a case a refund for unused lessons will be given. By completing this registration form, I authorize LimeLitez Studios Ltd. to process my VISA, MC, BANK ACCOUNT for any/all regular or outstanding payments. By submitting this form, I authorize LimeLitez Studios Ltd. to send e-mails to my provided e-mail address for the duration of my contract.